Internet security is a much talked about topic today and this should come as a very little surprise given the severity of malware threats at present. 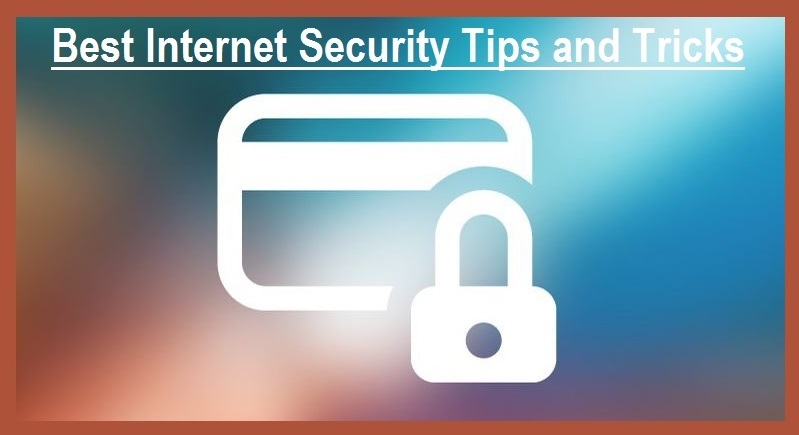 Internet security involves many different things and is not just isolated to malware threats, but also identity theft. We all use computer systems on a daily basis and the unfortunate reality is that as long as we are connected to the internet, we will always be at risk of identity theft or being attacked by some form of malware. In this article, we will lay down some helpful guides and procedures that people can follow to better help them protect their laptops and computer systems against malware and identity theft. Using AntiVirus – An antivirus or antimalware software application should always be the first thing you should install on your system. This will be the first line of defense against harmful malware infections and hackers. Try to purchase reputable anti-malware software and make an effort to run scans on a daily basis. A tool equipped with live protection and updates will help greatly. Windows Updates – Always make an effort to download the very latest updates that are available for your operating system from Microsoft. This will help to patch up security holes and also other updates needed to keep your system secure and stable. Social Media Platforms – When using social media platforms always be very careful about what information you make available to the public. Allowing too much information to go public could result in identity theft and also emotional strain should a personal conflict arise. Login Details – When creating login information for your social media profiles and also banking logins, try to make the usernames and passwords different. A combination of upper case, lower case, special characters, and numbers will do well to secure your profiles against hackers. Users should store their usernames and passwords in password managers on secured media drives. Phishing Links – We all receive spam or commercial emails from time to time and this is a major doorway for phishing attacks to happen. If you ever receive emails from unknown persons that contain a link to another website, never click on them. With phishing links, a user is usually redirected to another fake website when they have clicked on the link and these sites are created with the primary objective to capture information. This can be financial information for banking websites, personal information or logins for social media. Email Attachments & Downloads – When you receive email attachments and download any type of file from the internet, you should always perform a full scan via updated anti-virus software such as; Avira, McAfee, Avast, AVG etc. of your downloaded content before opening/installing it. Too many of us just install downloaded content without checking to see if it has infectious content, and this is something that is crucial in the fight against malware. These are some basic tips that can help users with laptops and computer systems put a stop to malware attacks and also identity theft. Many other tips are available online and can be found easily on the web.